Ridegenius is a mobile app which suggests the best mountain biking trail to ride. It tailors the suggestions according to personal skills, preferences and trail conditions. It updates the user about the highest rated trails, newly opened trails as well as upcoming races and events. 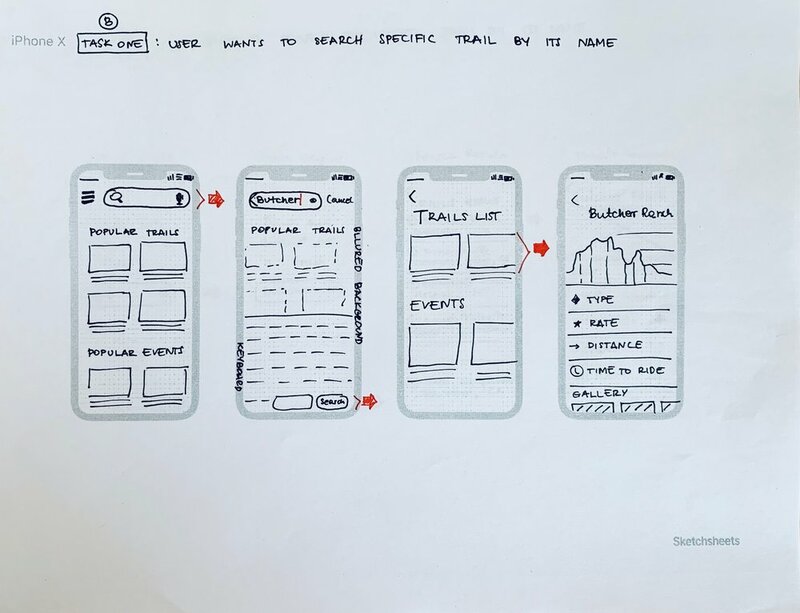 I began my design process with market research, competitive analysis, heuristic evaluation and user survey (done using Google Forms) The results helped me determine what the users may need and expect from such a product. I decided to use a vibrant turquoise and bright orange colors, which are cohesive with the spirit of mountain biking. They evoke interest and energy. Charcoal grey was used for background, which created a strong contrast for all bright interface elements. 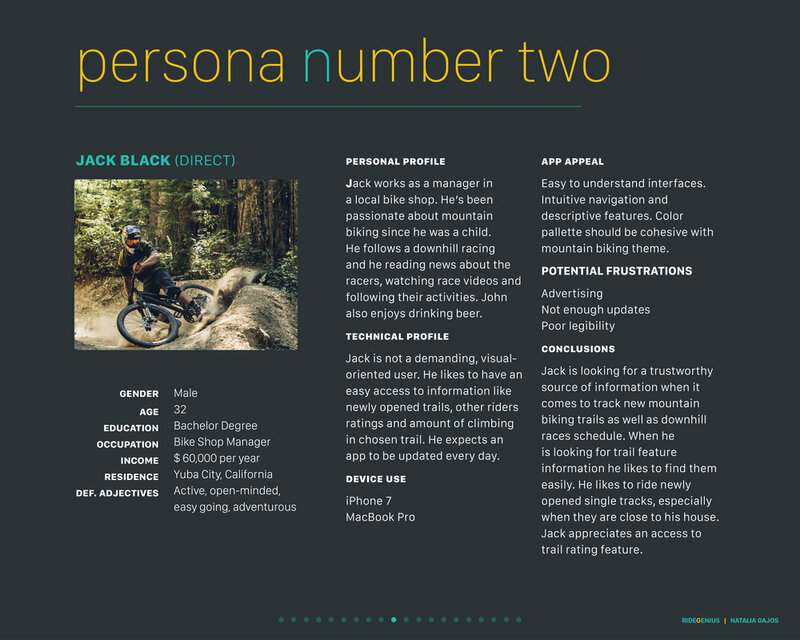 At the outset, I focused on defining personas and developed several moodboards, suitable for the target audience. 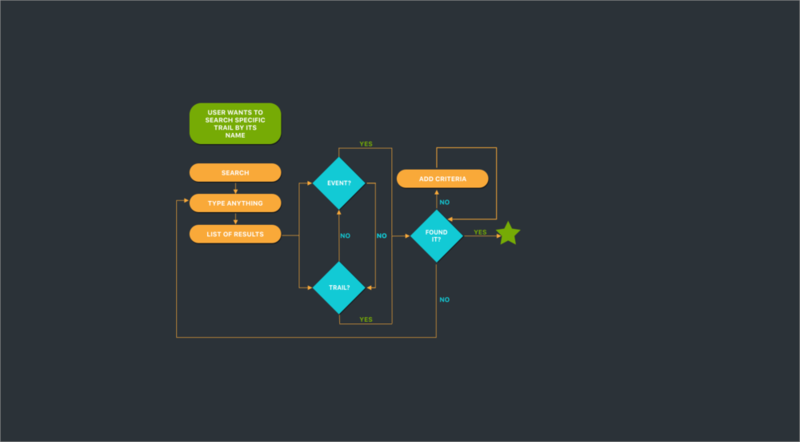 Subsequently, I constructed main task flows and information architecture. 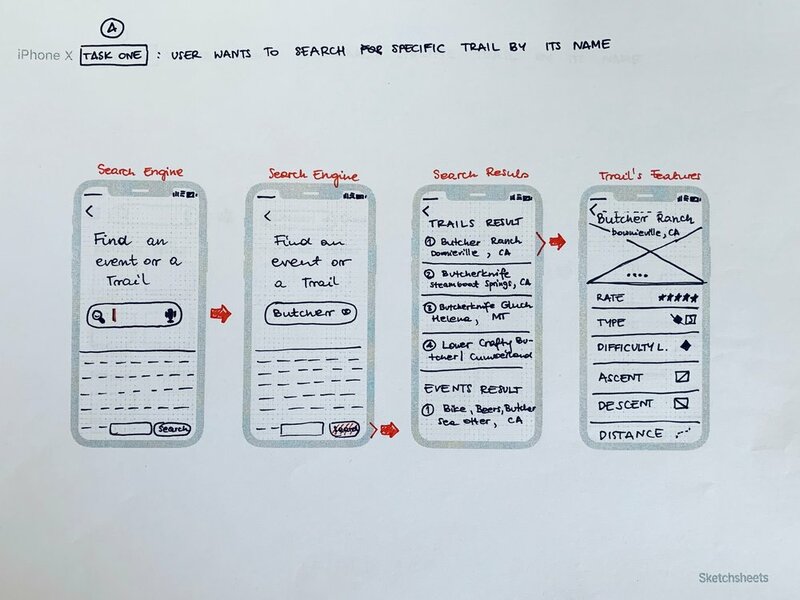 I developed key use cases for the app: trail search, smart suggestion discovery and browsing, and event search. I started with pencil sketches on an iPhone stencil, iterated on those and quickly moved to Sketch app. 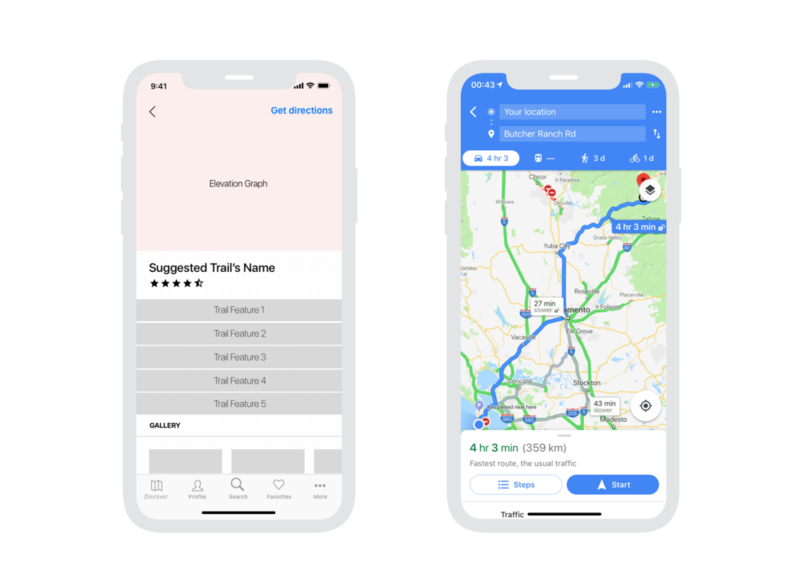 I designed the wireframes and continued to refine them with details, color and typography until I had a UI and branding direction I was happy with. Lastly, I imported my design to Invision and turned it into an interactive prototype.